Ninebark is an American native shrub that grows 6 to 8 feet tall, or even to 12 feet under ideal conditions. It has attractive clusters of fluffy white flowers in early summer, interesting red to tan seed pods all summer, and the rich-green leaves turn golden yellow in fall. 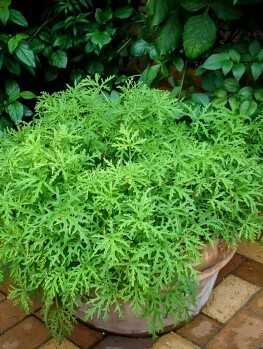 It is the perfect all-purpose’ shrub to choose for your garden, as it will thrive in any kind of soil, and even in little pockets of soil over rock, where most plants will quickly fail. 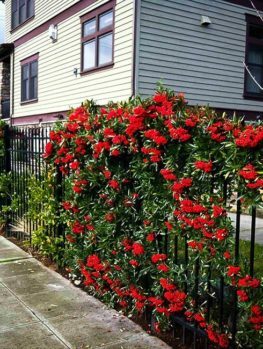 Use it for all the difficult spots in your garden, but also plant it as an attractive background plant to other flowering shrubs and plants, as it will always look attractive, but ask for nothing of you. Its graceful arching form adds beauty without adding work, so plant it along an ugly fence or wall, to bring beauty to the most difficult spots in your garden. Ninebark grows in sun or partial shade, and it is hardy to minus 40, so it will grow anywhere, especially in the coldest regions where plant choices are limited. It will also grow in all soils, from sand to clay, and in rocky, shallow soils that are hard to find plants for. Just plant it and forget it – the ultimate low-maintenance plant for every garden situation – tough but also attractive, and an ideal choice if you are just starting to garden. Sometimes in the garden we need an attractive shrub that will grow, no matter how poor the soil, how difficult the location and how little care it receives. The Ninebark is a shrub that certainly fits that description. This is the indestructible plant for those difficult spots in poor soil, very little soil, or in urban locations, where nothing else is likely to grow. 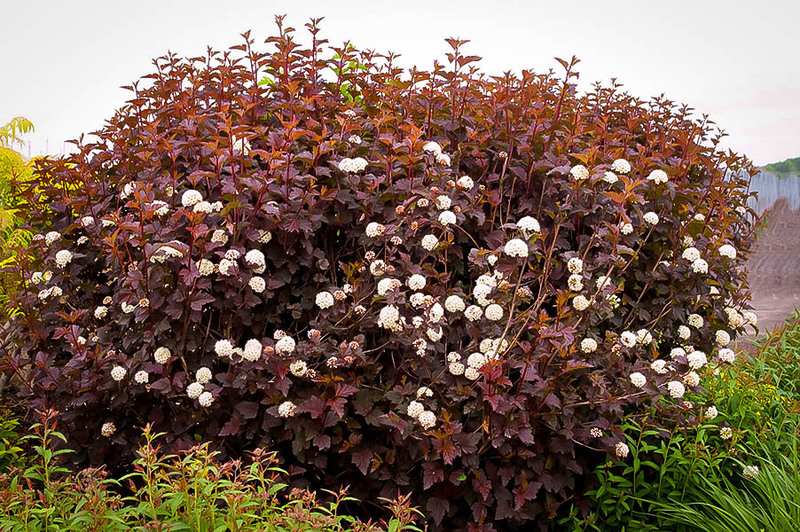 Luckily the Ninebark is also an attractive shrub, certainly worthy of planting in any garden, which will add no maintenance, but give you attractive foliage and flowers, making an easy-care background for the more elaborate parts of your garden. Ninebark (Physocarpus opulifolius) is an American native shrub that grows all through the east, from Quebec to Georgia and as far west as South Dakota and Kansas. It is typically found growing in all kinds of different spots, from dry, rocky banks to places along streams, so you can tell this is a hardy and adaptable plant. It is also an attractive plant, covered with white blossoms in spring, interesting red and tan fruit capsules all summer and golden-yellow leaves in fall. Even in winter it is attractive, with its arching branches covered in peeling, tan-colored bark. In fact it is called ‘ninebark’ because of the layers of differently colored bark that peel from the stems. Whether there are exactly nine layers you can decide for yourself! Ninebark forms a medium-sized shrub that can reach 12 feet tall under ideal conditions, but is usually closer to 6 or 8 feet tall in most gardens. The branches are upright, but arching, so that they create an attractive fountain-like effect. The foliage is a top feature, with each leaf being up to 4 inches long, with a large central lobe and usually two side lobes. These crowd the branches; hiding the stems and making this tree a useful dense screening plant for features you want to hide, like ugly walls and fences. In early summer, after the leaves emerge, fluffy flowers develop all along the stems. These are small and white, but they are clustered together into dome-shaped heads up to 2 inches across, making a great display. As the flowers fade they are replaced with clusters of seed pods, which begin in attractive shades of red and then turn into tan as they dry. Ninebark has many great features, but perhaps its greatest is just how tough this plant is. You can put it into any kind of soil, from sand to clay, in areas that are dry or wet, in sun or shade, and it is especially useful for those spots that have just a little soil over rock and rubble. It will grow in tough urban situations, with traffic fumes and dust, as well as growing happily everywhere else too. If there is a pocket of soil, no matter how poor, the Ninebark will welcome it and thrive. 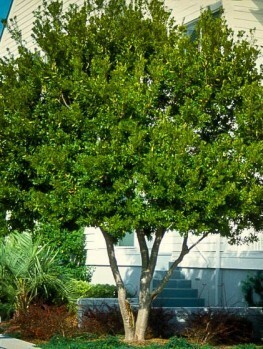 As a native tree, this is a great choice for a garden to encourage wildlife. Birds love to nest among the branches of the Ninebark. Bees and other pollinators love to feast on the abundant nectar in the flowers, and seed-eaters enjoy the ripe-seeds as the cold days of winter begin. 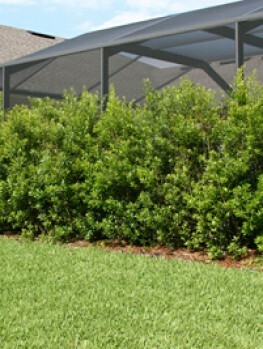 It can be planted as an informal hedge to enclose part of your garden or hide an ugly fence or wall. 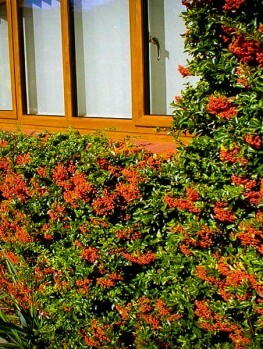 You can also clip it regularly into a neater hedge, but you will have fewer flowers. 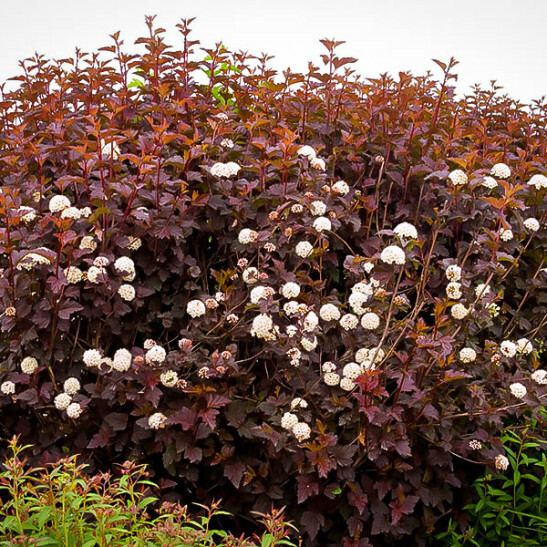 You certainly won’t have to worry about pests and diseases, as the Ninebark doesn’t have any – it just grows and grows without any attention from you at all. This is the perfect plant for a new garden, or if you want to see attractive plants on your property, but you don’t have the time for complicated gardening routines. Although the Ninebark can be left to grow without any attention at all, if you want to keep it a little neater and smaller, prune out older branches shortly after flowering is over. Cut those branches back to the ground, or back to a strong, younger stem. It can even be cut back completely, and will soon grow back with new, strong branches. 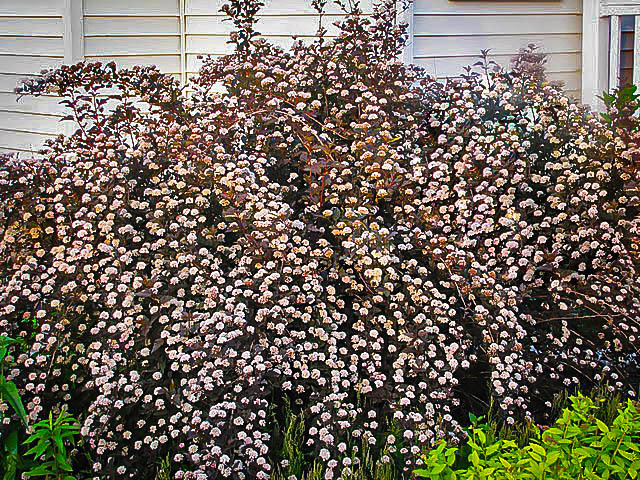 Newly planted shrubs should be watered regularly, but once established the Ninebark needs no extra watering, even during drought periods. Such a versatile and tough plant is always in high demand, and we have a good supply, but such a popular plants sells fast and in the end our supplies are limited, so order now and grow the amazing Ninebark, nature’s gift to those of us who don’t want the work of gardening, but just want the beauty. If you have any questions, just give us a call at 1-888-329-0140 and we’re happy to help!